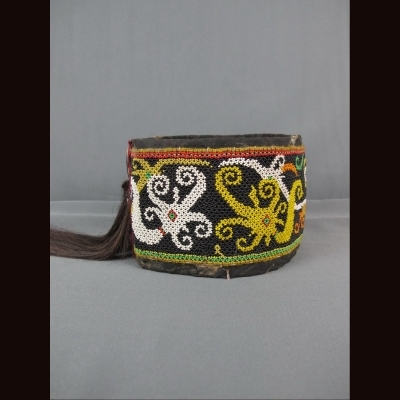 Old fine bead headband by Orang Ulu Borneo Island. 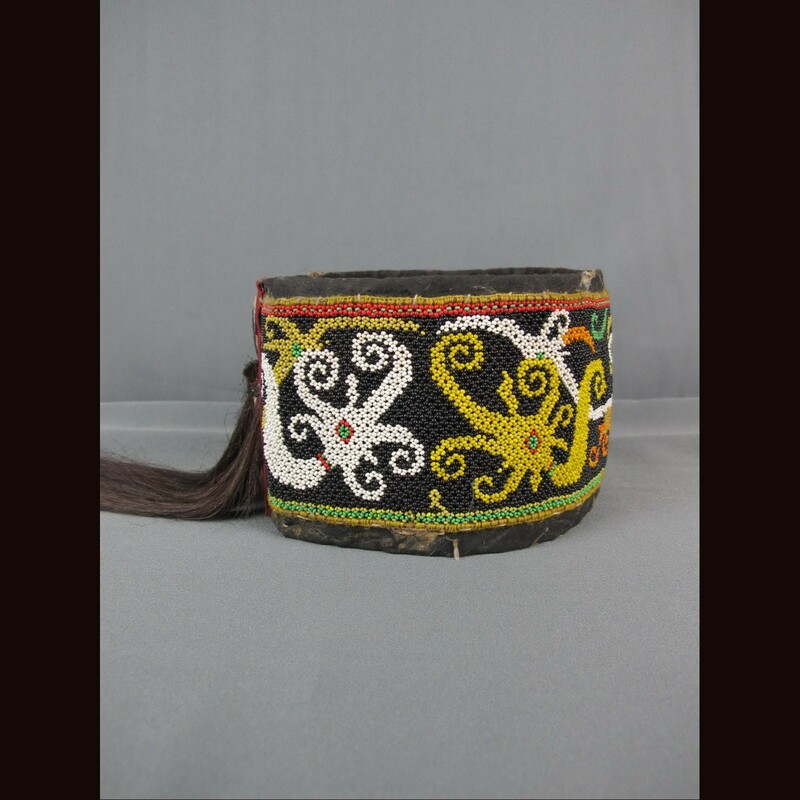 It is decorated all round with beads stitched in the shape of dragon-dog (aso) which have religious significance. The main colors of the beads are white, black, and yellow.